As Cybersmart, a South African Internet Service Provider (ISP), looked to launch a new set of premium Lightspeed Fibre Internet services, they wanted a BSS/OSS solution that would be able to match the quality of their new Fibre services. Specifically, they were looking for a solution that would allow them to provide their customers with superior sales and support services, professional quotations, clear and concise invoices – and improved order fulfilment times. Cybersmart’s goal is to provide a premium customer experience and improve the management of their fibre network roll-out. After discussing their unique requirements, Cybersmart signed up with Business Automation specialist, SOLIDitech. 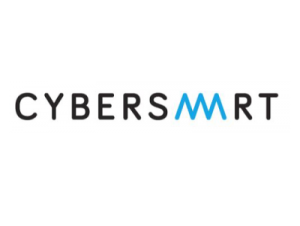 By automating Cybersmart’s operations with a single-database solution, SOLIDitech will enable Cybersmart to continue to build their fibre network through a fully automated, scalable, and end-to-end operational solution; allowing them to focus on what really matters – delivering lightning fast internet to their customers. SOLID automates business operations throughout the entire fibre network development process – from identifying feasible zones through GPS positioning and overlay mapping, to managing 3rd party contractors from SOLIDitech’s Mobile Application. SOLID utilises workflows to support the collection and management of wayleave documentation, the installation of dark fibre and the provisioning, billing and support of services over that fibre. Cybersmart is one of South Africa’s largest wholesale ISPs, offering affordable and reliable internet. After starting in 1998, Cybersmart’s national network now spans multiple provinces and international cable systems. Thanks to the loyal support of their clients they have achieved sufficient economies of scale to be able to give something back. That is why they are committed to providing fast, reliable internet at the best prices possible. Cybersmart strives to be the best ISP in South Africa. SOLIDitech is working with RCS Communication to implement a central automated solution that can be accessed simultaneously by all employees. June has been a busy month, we’d like to welcome our newest customers to the SOLID family. Each bring something new and exciting to the industry – we are excited to working with them on their SOLID solutions. SOLIDitech will work with CBC Netcomms to fulfill their objectives by leveraging the SOLID Business Automation platform. Are You Evaluating Your Business Automation Software Options?